A judge sentenced a 28-year-old men to spend the rest of his life in a prison cell for fatally stabbing his then-14-year-old girlfriend’s grandparents to death as they slept in their bed in their Rosemead home nearly seven years ago. A jury convicted Rodolfo Lopez late last year of two counts of first-degree murder, along with the special allegation of multiple murders for the Aug. 10, 2010, double-stabbing in the 4200 block of Arica Avenue, in which the elderly victims were stabbed more than 150 times, according to Los Angeles County sheriff’s officials and proscutors. Jack Bezner, 71, and his wife Susan Bezner, 64, died in the attack, officials said. Their granddaughter, then-14-year-old Sophia Cristo, lived with them. She carried out the attack with Lopez, then-21, after the grandparents discovered Cristo had been involved in a check forgery scam and threatened to notify authorities, according to Los Angeles County District Attorney’s Office spokeswoman Sarah Ardalani. During Lopez’s appearance Friday in Los Angeles County Superior Court, Judge Craig Richman sentenced the killer to life in prison without the possibility of parole, court officials said. Jurors convicted Cristo in March of 2015 of the murders of her grandparents. The jury also found true the special circumstances of lying in wait and multiple murders, as well as the special allegation that she personally used a knife to stab her grandmother. Susan Bezner was stabbed 112 times during the grisly attack. Though the couple was attacked as they slept in their bed, evidence indicated they fought for their lives before ultimately succumbing to their wounds, prosecutors said. 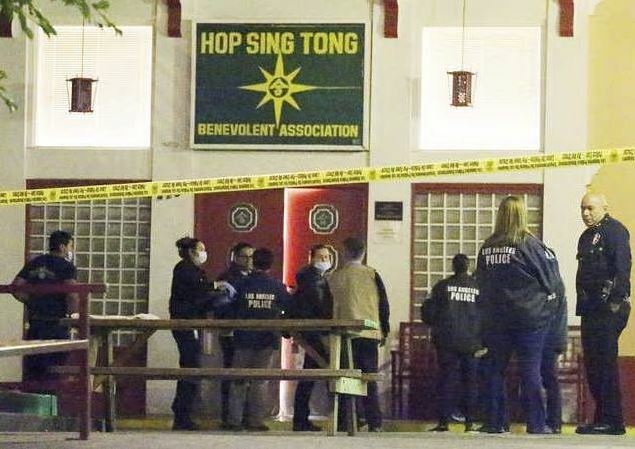 Investigators found and arrested Lopez and Cristo two days after the murders as they were driving the Bezners’ stolen SUV through Horison City, Texas. Though the special allegation of multiple murders made Lopez eligible for the death penalty, prosecutors did not seek capital punishment in the case. Cristo was ineligible for capital punishment due to her age at the time of the slayings. Cristo also faces life in prison without the possibility of parole when she returns to court for sentencing on July 18. 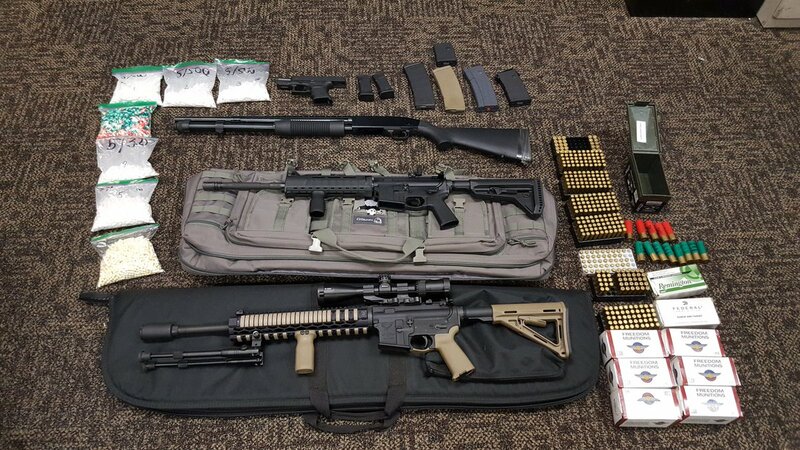 ROSEMEAD >> What began as a probation compliance check in Rosemead on Tuesday led deputies to discover a cache of 2,000 pills and four guns, including two AR-15 rifles, authorities said. Two brothers who live at the home were jailed. Khamsana Jimmy Phimmasone, 35, who is already on probation for a previous narcotics conviction, was booked on suspicion of being a convicted felon in possession of firearms and ammunition, according to Los Angeles County sheriff’s officials and booking records. 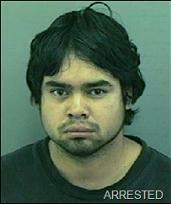 His brother, 34-year-old Donny Phimmasone, was booked on suspicion of possession of drugs for sales. Deputies visited the home in the 3700 block of Strang Avenue to ensure Khamsana Phimmasone was abiding by the terms of his probation, Sgt. Tony Duong of the sheriff’s Temple City Station said. His younger brother also lives at the home. “The search resulted in the discovery of narcotics and several firearms including, two AR-15 rifles, a shotgun, a handgun, ammunition and approximately 2000 pills of a controlled substance,” sheriff’s officials said in a written statement. Several varieties of pills were found, Duong said. They were sent to the sheriff’s crime lab for analysis to determine what exactly they contain. According to Los Angeles County Superior Court records, his past convictions include: possession of restricted or dangerous drugs in 2004; auto theft and recklessly evading police in 2002; as well as possession of methamphetamine, auto theft and burglary in 2001. According to county booking records, Khamsana Phimmasone was being held in lieu of $50,000 bail, while Donny Phimmasone was being held in lieu of $30,000 bail. Both were scheduled to appear in the El Monte branch of Los Angeles County Superior Court. ROSEMEAD >> A man carried out a robbery at a bank branch inside a Rosemead Walmart store on Wednesday afternoon, officials said. The heist took place about 3 p.m. at a U.S. Bank branch inside of the Walmart Supercenter, 1827 Walnut Grove Ave., Los Angeles County sheriff’s Lt. Tom McNeil said. A robber approached a teller and handed over a note demanding cash, the lieutenant said. He also demanded money verbally. Though he claimed to have a gun, no weapon was seen during the crime, McNeil said. The robber was last seen fleeing on foot after obtaining an undetermined amount of cash from the teller. No getaway car was seen. Deputies described the robber as a Latino man, between 35 and 40 years old, wearing a blue plaid shirt, blue jeans and a black hat. The FBI joined sheriff’s deputies in the investigation. ROSEMEAD >> A jury convicted a man of fatally stabbing his then-14-year-old girlfriend’s grandparents more than 150 times in their Rosemead home six years ago. A Los Angeles Superior Court jury deliberated for two days before convicting Rodolfo Lopez of two counts of first-degree murder in connection with the Aug. 9, 2010, slayings of Jack Bezner, 71, and Susan Bezner, 64, at their home in the 4200 block of Arica Avenue, according to Los Angeles County District Attorneys’ officials. His former girlfriend, 20-year-old Sophia Cristo, was convicted in March of 2015 of two counts of first-degree murder, prosecutors said. Jurors also found true the special circumstances of lying in wait and multiple murders, along with the special allegation that she personally used a knife to stab her grandmother, who was wounded 112 times. Both Jack and Susan Bezner were attacked as they slept in bed, officials said. Evidence indicated they fought for their lives, Deputy District Attorney Scott McPheron told jurors during Cristo’s trial. Cristo lived with her grandparent prior the brutal slayings, officials said. It was alleged Cristo orchestrated the killings over a dispute with her grandparents. “The prosecutor argued in his closing that Cristo had been involved in a check forgery scam,” district attorney’s office spokeswoman Sarah Ardalani said. “The grandparents found out. They threatened to put her in juvenile hall,” Ardalani said. Cristo then allegedly decided to kill them. Cristo and Lopez are both expected to receive life prison terms, without the possibility of parole, when they return to court for sentencing on Jan. 24, Ardalani said. Cristo was not eligible for the death penalty because she was a juvenile at the time of the crimes, though she was charged as an adult. Prosecutors did not seek the death penalty against Lopez, who was 21 at the time of the double murder, Ardalani said. Prosecutors argued that Lopez personally wielded the knife in Jack Bezner’s slaying, however jurors did not find that allegation to be true, Ardalani said. Police apprehended Lopez and Cristo two days after the murders, according to El Paso Sheriff’s Department Deputy Jesse Tovar. Authorities used a LoJack vehicle anti-theft system to track the suspects down as they drove through Horison City, Texas, in the Bezners’ SUV. 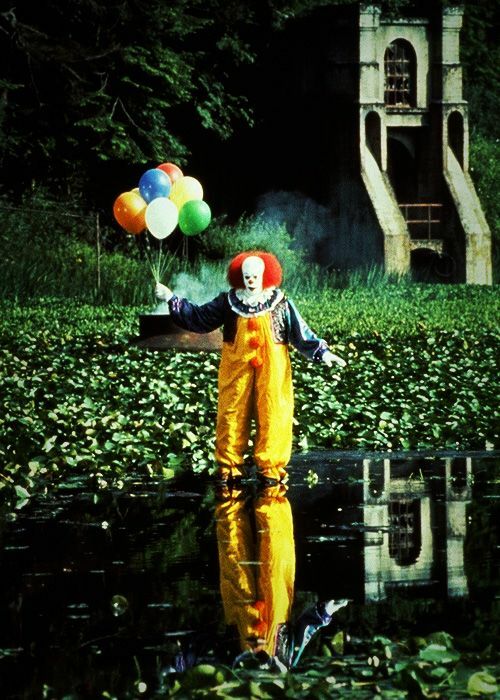 Sightings, rumors and online chatter about menacing, sometimes-armed creepy clowns hanging around near Los Angeles County schools drew police responses on Thursday, but resulted in no arrests or incidents. Police in Pasadena responded to Wilson Middle School, 300 Madre Street, about 10:45 a.m. in response to a “non-specific threat” involving possible sightings of clowns at the school, Pasadena police Lt. Mark Goodman said. Officials evacuated the school and searched the campus, ultimately finding nothing unusual, Goodman said. Students at Willard Elementary School, across the street, “sheltered in place” as police search the area and the Wilson campus, Pasadena Unified School District officials said. The threat was determined to be “completely unfounded,” Goodman said. No further details regarding the nature of the reported threat were available. “(Police) thoroughly assessed the entire campus. There was no threat on campus,” Wilson Principal Sarah Rudchenko said in a statement sent to parents. The school resumed normal operation about 11:45 a.m. In Rosemead, an officials Mildred B. Janson Elementary School, 8628 Marshall Street, called deputies about 1:30 p.m. to report seeing what appeared to be someone dressed as a clown near the campus, possibly carrying a handgun, Lt. John McClure of the sheriff’s Temple City Station said. Deputies searched the area, but did not find any clowns, armed or otherwise, he said. 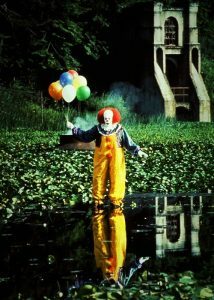 Police in Montebello were also keeping an eye out after receiving word that social media posts had indicated the creepy clowns would be showing up soon in their city. Glendora police arrested a 19-year-old Azusa man Wednesday on suspicion of criminal threats after he posted messaged via social media involving clown-related threats against his alma mater, Sierra High School, as well as vague threats in the city of El Monte. The suspect, 19-year-old William Salazar, indicated to detectives the threats were intended to be a joke. ROSEMEAD >> A man was found suffering from stab wounds outside a Rosemead convenience store on Saturday afternoon but refused to tell investigators what had happened, officials said. Deputies responded to reports of a bleeding man about 4:35 p.m. outside a 7-Eleven store on San Gabriel Boulevard, just south of Hellman Avenue, Los Angeles County sheriff’s Lt. Frank Ruiz said. The victim had stab wounds to his shoulder and hand, the lieutenant said. He was hospitalized in stable condition. But the victim, a man in his 30s who was believed to be intoxicated, would not cooperate with deputies, he said. The circumstances surrounding how the man ended up wounded remained unclear, an no information regarding a suspect was available.